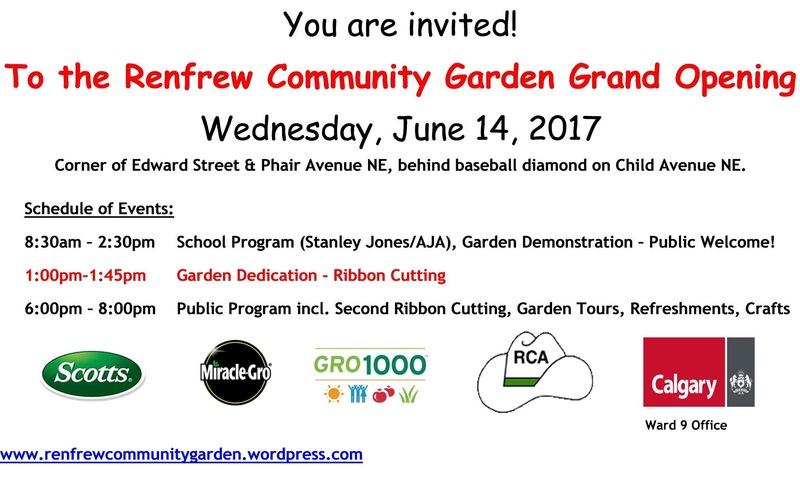 Renfrew Community Garden – Page 2 – Welcome Gardeners! Let's get our hands dirty!! We moved over 135,000 lbs of soil from our garden to the dump to create the trilobite swale which will capture rainwater runoff from the park above and distribute it to our edible tree forest!! Each and every load has had to be filled and then emptied by hand… what a labour of love this has been!! Thank you to Kiwanis Club and New Concept Landscaping & Contracting Ltd. for the donation and placement of our new sandstone boulder retaining wall! Hi everyone! I just found out that we are still in the running for the 2017 Edible Tree Grant offered by Tree Canada! Tree Canada, if you’re reading this, please select the RCG for the 2017 Edible Tree Grant. Our “trilobite” is almost ready for all those beautiful fruit trees and bushes!! We’re super-excited to get those plants in the ground!! Hello all, we are skipping the next scheduled committee meeting, because everyone put in a great deal of time and effort into the garden build this past weekend. Next meeting time will be announced. Thanks all!